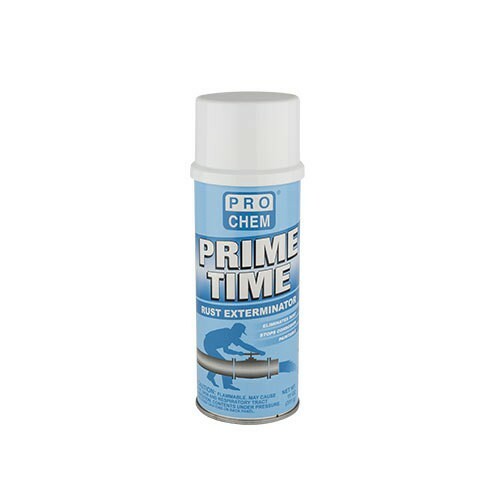 Prime Time | Pro Chem, Inc.
PRIME TIME is a one-step rust converter and corrosion neutralizing spray. 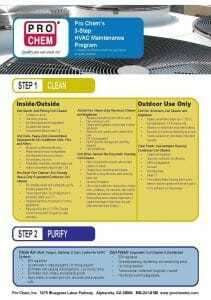 Stops rust, coats the surface and can serve as a primer for covering with paint. Converts rust to a tough black resistant film, which protects the surface and prevents new rust from forming. Convenient aerosol penetrates into hard to reach places as well as eliminates clean up of brushes and containers. For best results, workpiece and can should be at room temperature (above 65°F). Surfaces must be clean, dry and free of grease, dirt, and oil. Remove loose rust and paint with coarse sandpaper or a wire brush. Before using, shake can until ball rattles freely for at least one minute. Holding the can 8 to 10 inches from the surface, spray a thin, even coating onto the rusted metal. Avoid over application, sagging and dripping. A second application is advised only after allowing for complete drying of initial application. Final application will dry to a black finish. May be painted after curing for approximately 6 hours.